C.T.S Holiday Programs are for all children from ages 6+. 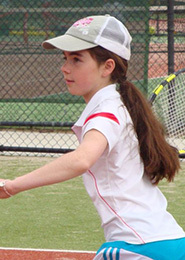 All programs are associated with Tennis Australia’s Hot Shot Program use modified equipment so children can serve, rally and score. Holiday Programs are ideal for those who enjoy playing matches or are trying tennis for the first time.We run a holiday program every school holidays at Craigieburn, Greenvale Tennis Clubs and Hidden Valley Country Club. Qualified and Experienced Tennis Coaches will introduce players to the basics of tennis and stroke play. A fantastic way to start your child’s tennis life and to get them out of the house during the school holidays. 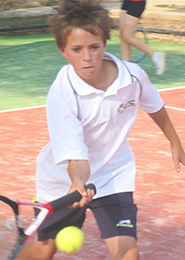 The holiday programs will give your child the opportunity to play heaps of matches against other tennis players. It will introduce them to various kinds of players, therefore improving their own game. 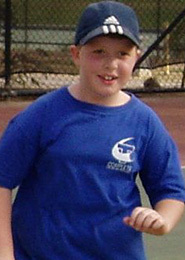 • It offers the participants a chance to self discover their tennis capabilities, learning through the mentor system. That is learning by playing people of the same standard for a highly competitive match, a higher standard to learn from them, and a lower standard for trying new strategies and shots. • Constant matches – Doubles and singles in different formats aids in concentration and participation. • Lunch – each day there is a canteen where children can purchase hot dogs and drinks. 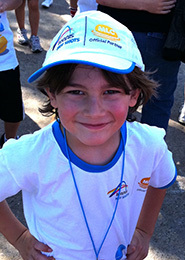 • Free T-Shirt – all children who enrol in a 2011 Holiday Clinic for more than 2 days will receive a free MLC Hot Shots T-Shirt. • Equipment – rackets are provided for the day for those children who do not have one. Our clientele always comment on the value for money of the holiday programs.